Set "The Party Song" to repeat on your iPod, and throw on that Take Off Your Pants and Jacket Tour T-shirt you knew you had a reason for not throwing away. 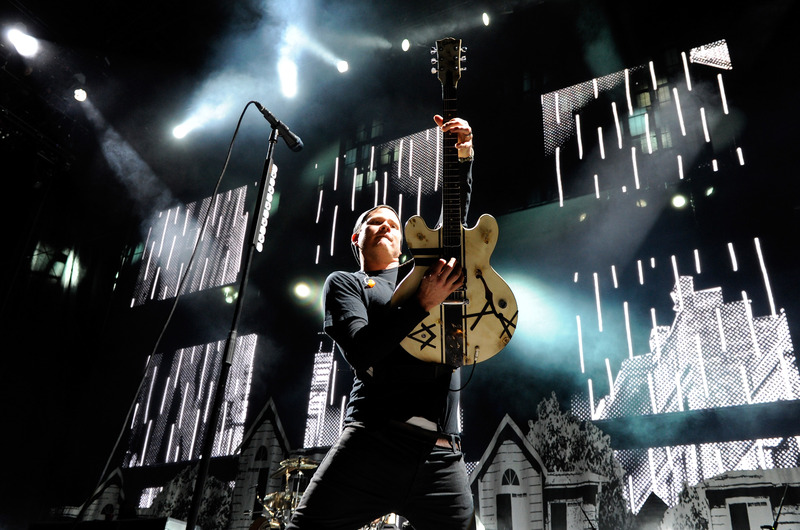 That's because former Blink-182 guitarist Tom DeLonge has written a book, and it's coming to you on October 6. And it sounds like a thrill ride, to say the least. Poet Anderson …Of Nightmares tells the story of two recently orphaned teen brothers on a journey to a new life. The elder brother, Alan, is heading to a job at the Hotel Eden in Seattle, where their parents worked before they were killed in a horrific plane crash, and younger brother Jonas, the misfit of the two, returns to the 'normalcy' of high school. But normal is nowhere in sight as unseen forces wreck their lives in every possible way. Tragedy leaves Alan in a coma and young Jonas left to fight for both of their lives against enemies from a dark nightworld. Mostly, I'm just interested to take a peek after all of the... interesting interviews DeLonge has offered up over the past several months — one of which is this PAPERMAG piece in which the Jack-of-many-artistic trades talks about UFOs, aliens, and government coverups. If you haven't read it yet, take five and do it — it's certainly good enough to hold you over until the book comes out. Of course, in classic battle-of-the-bandmates fashion, DeLonge is releasing the novel a mere two weeks before former bandmate, Blink-182 drummer Travis Barker's memoir Can I Say: Living Large, Cheating Death, and Drums, Drums, Drums is scheduled to hit shelves. Drumrolls all around.